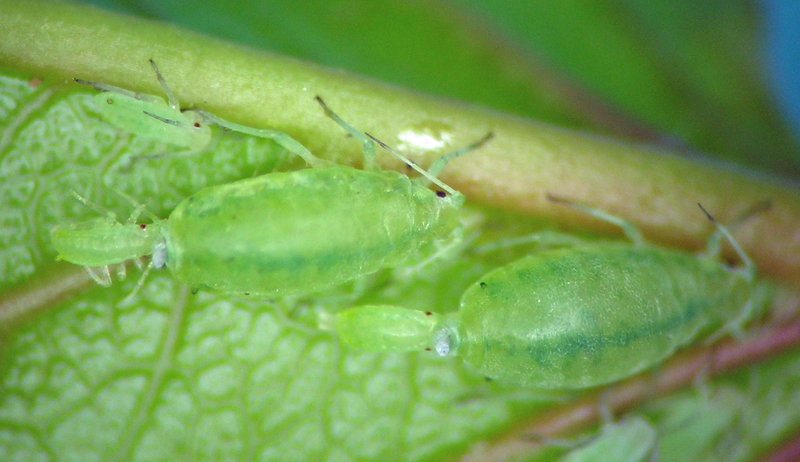 This is a genus for just a few elongate-bodied aphids with small siphunculi, with host associations of Prunus spp. and grasses living in wet places. From what I can tell, the specimens I get in the northwestern U.S.A. are Hyalopterus pruni. My sense is that the group is not native to North America, although H. pruni is now almost cosmopolitan in distribution. As noted above, this is another apparently non-native species. It is very common almost everywhere I collect in lowlands disturbed by human activity. It can reach mind-boggling densities on the lake-side grasses it inhabits. On my own apricot trees I have had the chance to see all the primary host life stages, although I seem to have no photos of the male. Hyalopterus pruni fundatrices on my apricot tree in central Washington. 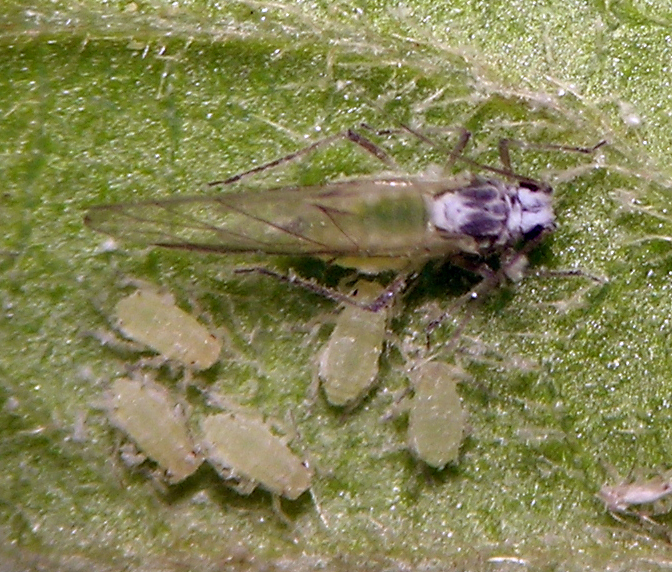 Hyalopterus pruni fall migrant and her offspring. 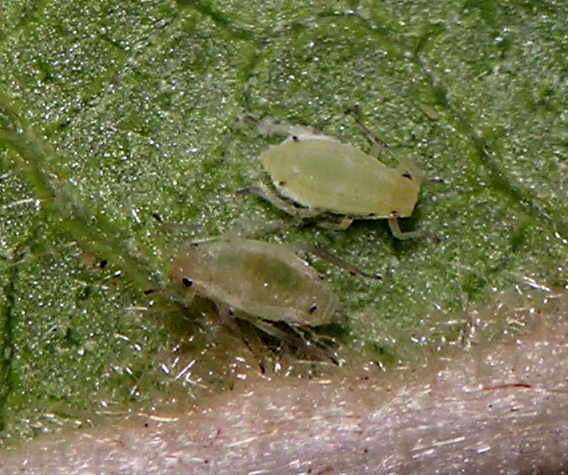 Hyalopterus pruni ovipara and late instar oviparous nymph.